Year One are Outside Again! As our topic this half term is ‘The Enchanted Woodland,’ we have been outside again to collect materials to make our very own mini woodland next week. You can tell by our faces that we had an amazing time. Have a look at our blog to find out more. This entry was posted in Year 1 and tagged Art, Geography, Science, Technology on November 23, 2018 by blogteacher. 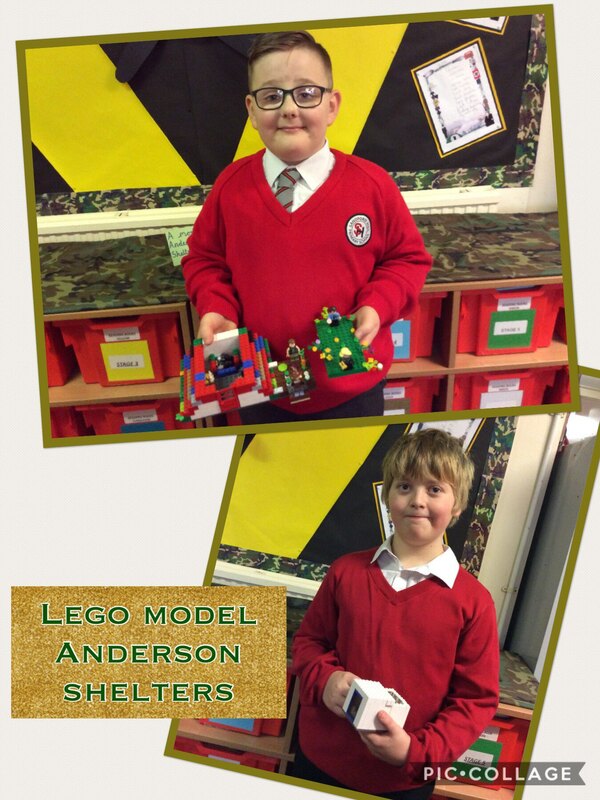 A huge thank you to Lewis and Byron who have made lego model Anderson Shelters. They are fantastic boys, thank you. If you would like a closer look, they are on display outside the Year 6 classroom. This entry was posted in Year 5 and tagged Technology on November 21, 2018 by Sandford Hill. This afternoon, Year 2 have celebrated the Big Bad Pig turning into a friendly character in our latest version of The Three Little Pigs. At the end of the story, the Big Bad Pig sang and danced with the three little wolves using his own tambourine. 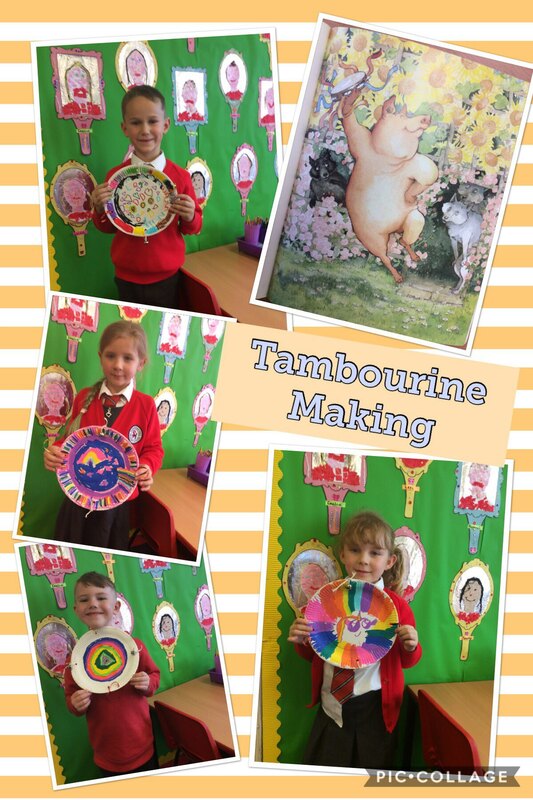 The children have made their own fantastic tambourines and have even attached their own bells. Great job! This entry was posted in Year 2 and tagged Music, Technology on October 26, 2018 by Sandford Hill. After reading the story ‘Pumpkin Soup’ we decided to make our own pumpkin soup! We wrote a list of ingredients which included parsnips, onions, turnips, carrots and of course a pumpkin! There were mixed reviews amongst the children but there was a delicious smell in our classroom. This entry was posted in EYFS and tagged Technology on October 25, 2018 by Sandford Hill. Lucy and Brooke have made these fantastic Greek temples for their homework projects. We all thought that they were amazing! The girls also did some writing to go with their models and Lucy had made some clay statues to go inside her temple. Brilliant work girls. Well done! This entry was posted in Year 5 and tagged History, Technology on October 25, 2018 by Sandford Hill. Year Three have been busy this half term designing some different clothes for the Flintstones! They have learned to make their own templates and use the templates to cut a piece of material accurately, to thread their own needles and how to use three different stitches. I was really impressed with the children’s resilience when problem solving and their independence! I think the parents, carers and friends of the children will be impressed with their finished outfit! We have these up on display for you to see on Open Evening! This entry was posted in Year 3 and tagged Technology on October 22, 2018 by blogteacher. Year 3 have put the finishing touches to the new clothes that they have made for Fred Flinstone. After a class debate, they decided that it wasn’t right to use real fur for clothes so we used felt instead. Well done Year 3, you have made some ‘yabba dabba doo’ clothes! This entry was posted in Year 3 and tagged Technology on October 16, 2018 by Sandford Hill. 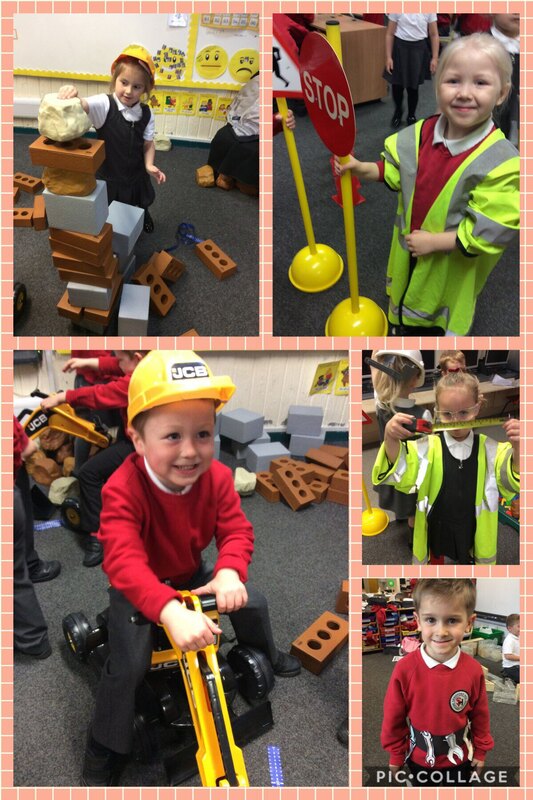 The children in Reception loved learning about how builders help us on Friday! The children used their imagination and worked brilliantly together to build. 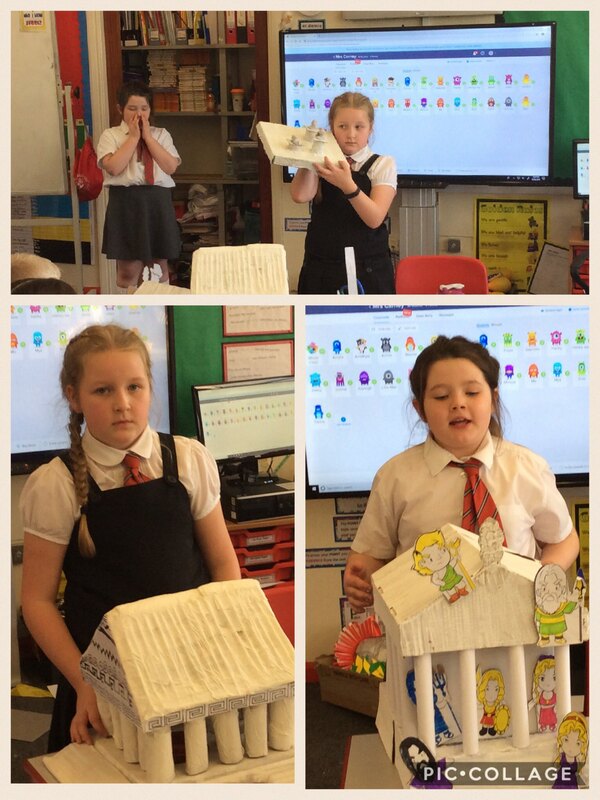 We also spoke about which materials are best when building for a particular purpose and why. Watch our video below to see the fun we had. 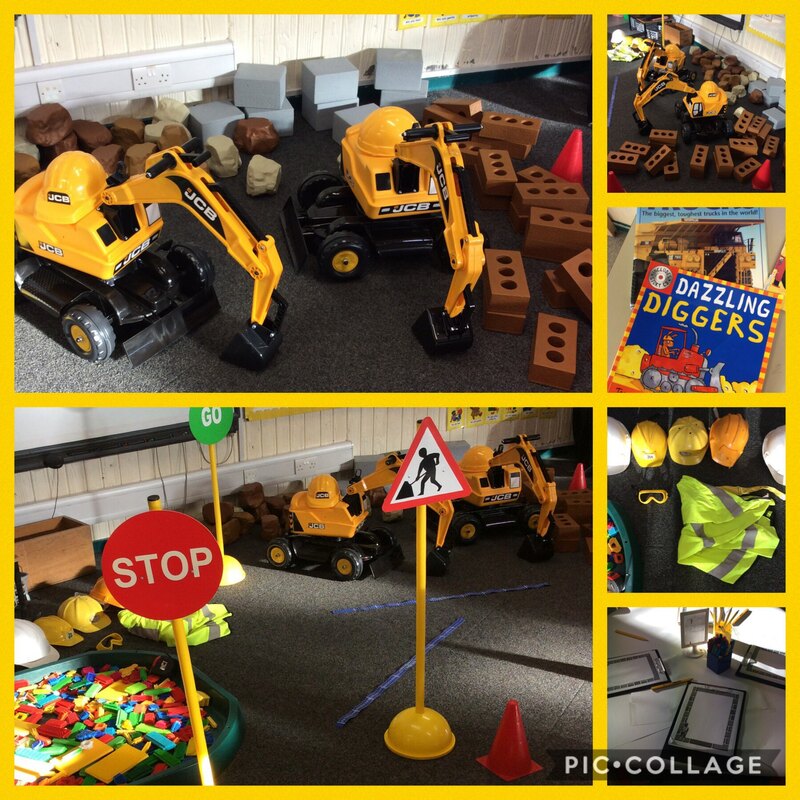 This entry was posted in EYFS and tagged Technology on October 8, 2018 by Sandford Hill. Can you guess which occupation we are learning about in Reception tomorrow? We are very excited! This entry was posted in EYFS and tagged Technology on October 4, 2018 by Sandford Hill. This week we have been reading an alternative version to The Three Little Pigs-The TRUE Story of The Three Little Pigs. 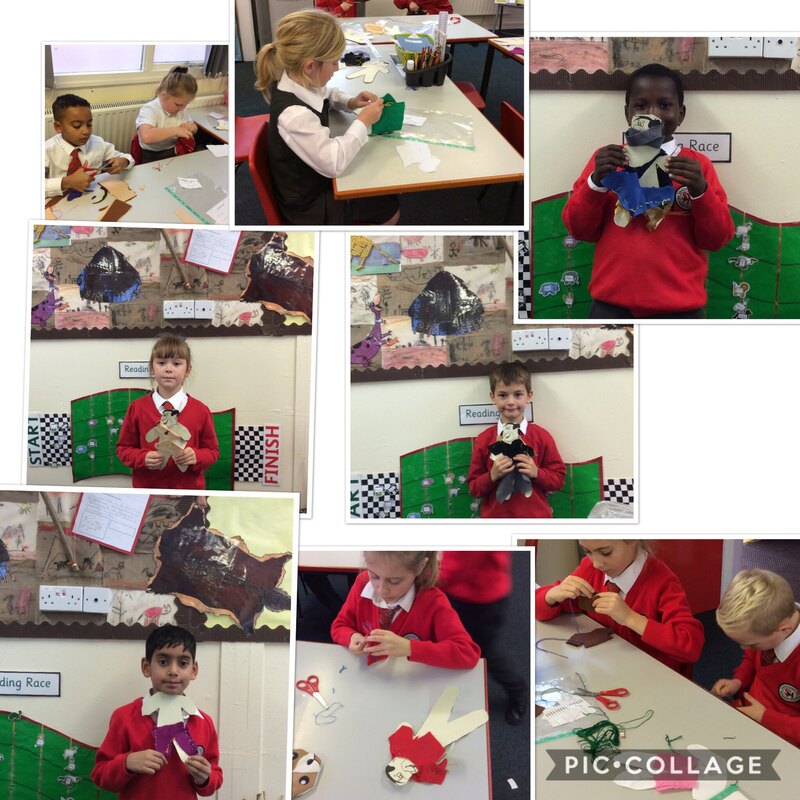 We discovered that in actual fact, the Wolf was not a mean character after all, but a desperate, poorly character who called upon his neighbours for a cup of sugar, whilst suffering from a very heavy cold! You see, the Wolf was making a surprise birthday cake for his granny when he realised he needed some sugar. After a huge misunderstanding, the Wolf ended up in jail and granny never received her birthday cake! Year two have rectified that problem today. The children have followed a set of instructions to make granny a birthday cake, they have used their directional language skills to write a set of instructions to direct the Wolf out of jail and they have identified lots of different features that written instructions have. A very busy, enjoyable day! 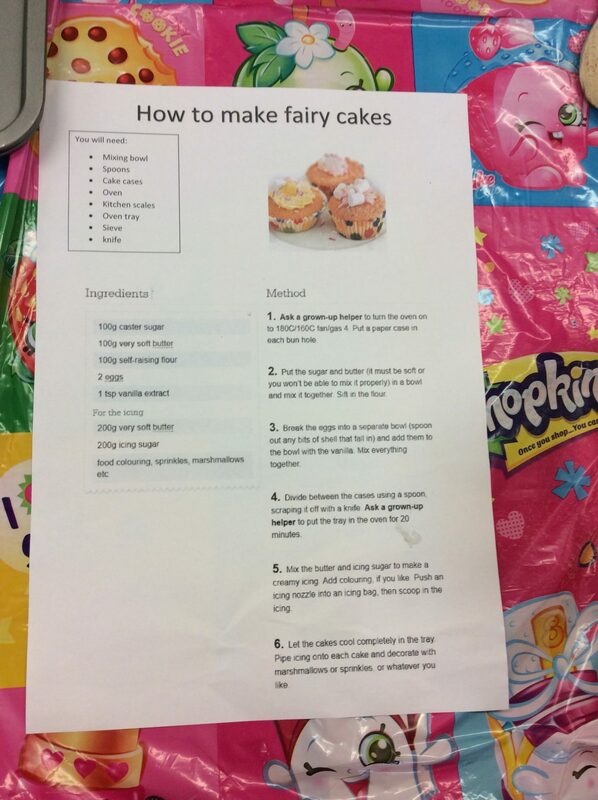 I wonder if the children can remember some of the features all written instructions need? We will be including these in our written instructions tomorrow! This entry was posted in Year 2 and tagged English, Technology on October 4, 2018 by Sandford Hill.